airbrush makeup seems like that unattainable option only available to movie stars and red carpet moments. i am here to smash that notion to pieces and let you know that airbrush makeup can be had by all. AIRBRUSH MAKEUP CAN BE HAD BY ALL! what's great is that companies are now introducing airbrush makeup kits that are not only affordable but also easy to use. 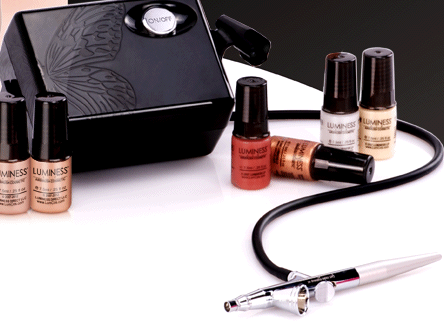 below is the Luminess airbrush system i used to create the airbrush makeup tutorial. 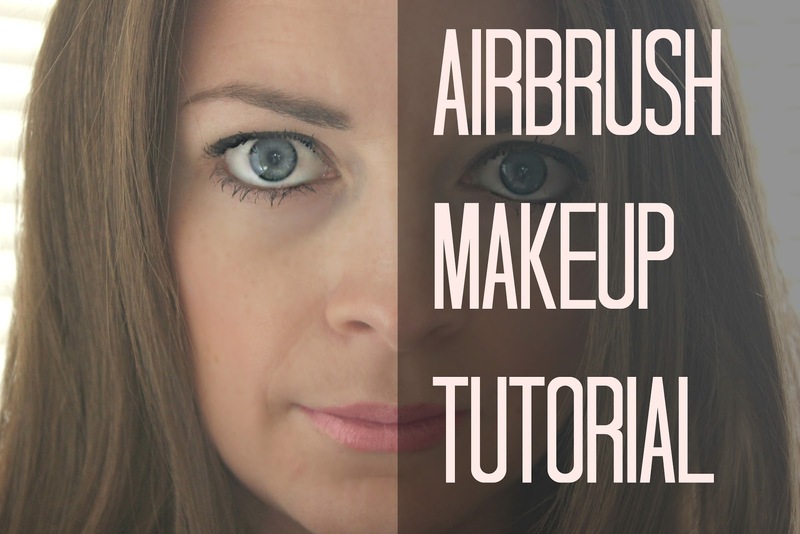 some perks of airbrush makeup include it is not silicone based, which means once you spray it on it stays put. it doesn't smear, smudge or wipe away - a great option for events where you need the coverage to last. airbrush makeup won't leave you with those nasty foundation lines - it sprays evenly and blends easily. last but not least airbrush is a dream for any germophobe, no re-dipping or transferring germs or brushes that collect bacteria. check out the video tutorial below to see how easy it really is to apply airbrush makeup. i used the Luminess Airbrush makeup kit which includes all products shown: airbrush, 4 shades of foundation, skin brightener, primer, blush and bronzer. Wow Kristie!!! YOu are awesome. That's all I can say. Please keep producing videos. This made it look so easy. And you look stunning. first thing I noticed is that the airbrush feels really nice. You can tell that it is professional because it is weighty and easy to hold. This is a welcome change to some of the thin airbrushes that you feel like you are going to break if you squeeze to hard. Anyone looking for a portable airbrush makeup kit that is more or less capable of everything an airbrush makeup artist would want to achieve.